And we’re launching something new to help more artists make money on Splice. Today, we’re proud to announce that artists who distribute their sounds on Splice have earned $10 million in royalties since we launched Splice Sounds in 2015. This represents a doubling in revenue artists have earned on Splice in less than a year. Splice Sounds is an artist-to-artist marketplace. It exists not only to fuel the creativity of the producers, songwriters, and other musicians who come to Splice to find the sound they need. It also exists to serve the creators who release their sounds on Splice by offering new revenue streams and new opportunities to grow their careers. We love hearing stories of creators whose careers are accelerated thanks to their Splice Sounds releases. Take, for instance, Jamaica-based producer Krs. He had been selling his drum kits online independently for three years before releasing a pack with Splice. Within the first 3 months after its release, his debut pack with Splice had generated 4x his annual income. Krs. is slated to release five more packs with us in the future. Or KARRA, a vocalist who was a manager at Mike’s Jersey Subs when she was creating her first sample pack for Splice. Her pack sat in the Splice Sounds Top 10 for six weeks and hasn’t left the Top 100 since it was released over a year ago. Now KARRA is a full-time songwriter and vocal producer. Most recently vocals from her pack were featured on the new David Guetta album. The revenue from her pack has allowed her to invest in a new home and professional studio gear. We want more creators to be able to earn revenue and build their careers on Splice. We want more stories like KARRA’s and Krs.’s. To that end, today we’re launching the Splice Creator Initiative: a constellation of programs designed to serve the independent sound creator community. We dreamed up the Splice Creator Initiative because the deeper we got into the world of sound creation, the more we noticed that there was an absence of resources directed at the growing community of producers, sound designers, vocalists and others who create samples, loops, and other types of audio content that power today’s music. In fact, many of these creators are unable to find partnerships with transparent terms that actually foster their longevity as independent artists. With the Splice Creator Initiative, we aim to foster sound creators’ artistic development through funding, collaborative events, creative support, open communication, career guidance, idea development, and other resources. We intend to improve opportunities for people who already identify themselves as sound creators, and also to encourage other musicians to explore sound creation as a new source of revenue and creative expression. The Splice Creator Initiative will be run with the help of two leading sample labels — Capsun ProAudio and Sample Magic — whose teams have been producing high quality original sample content for decades. 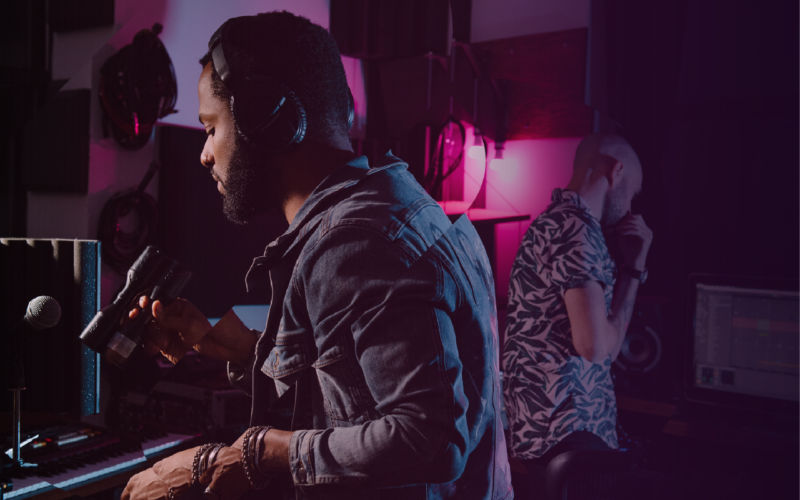 If you’re a creator who makes samples, loops or presets, or a musician who has always wondered how to break into the world of sample creation, you can learn more about the Splice Creator Initiative and sign up for updates here.